It might be hard to remember when browsing through the Nintendo Switch’s eShop, but there was a time when indie games weren’t nearly as prevalent in the industry, and smaller developers didn’t have as many avenues to publish their titles. Nowadays prospective developers can self-publish their games on not only Nintendo platforms, but even Sony and Microsoft ones. That wasn’t always the case. It goes without saying that Limbo is a big part of that history. Back in 2010, it made a splash and became one of the first high-profile indie game releases to gain traction in both the gaming community and the press at large. It deserves respect for the part that it played in opening up the gaming landscape to more developers, but how does the title stack up today, where indie game releases vastly eclipse the titles releasing from more traditional AA and AAA publishers? Admittedly, playing through the Switch version of the game has been my introduction to Limbo. The title is a simple game, with a relatively simple premise. The story, though you might be forgiven for feeling a little lost seeing as it’s only explained on the game’s Nintendo eShop description, has the player’s character entering Limbo to ascertain his sister’s fate. It’s vague, with a bit of a dark undertone, which just about fits the rest of the game like a glove. While players trek through this puzzle platformer in search of their sister, they’re treated to a landscape painted by shades of black, white, and all the grays in between. The boy’s jumps have a certain weight to them – not only does how long you hold down the button determine the length of your jump but so does your momentum. Besides jumping, you can grab on to things such as ropes, crates or logs. The former to swing from or climb, the latter to push around or move. Your arsenal and movement is very simple, but it can’t be said that Limbo doesn’t make good use of what it has. There’s an excellent sense of momentum to both the puzzles and the platforming, even if they never get especially hard. A concept is introduced and built upon before finally being set aside for another, and may be combined with other concepts down the road. The game’s overall aesthetic is nothing less than pleasing, and holds up well today. While the aesthetic doesn’t tie into the gameplay as much as say Hue, it was still nice to see the use of light semi-consistently throughout the game. On Switch it hits a native 720p when in handheld mode, and what appears to be 1080p when the system is docked. Framerate seemed more than solid, too – and I had no complaints on how the game handles with either the Joy-Con or a Nintendo Switch Pro Controller. 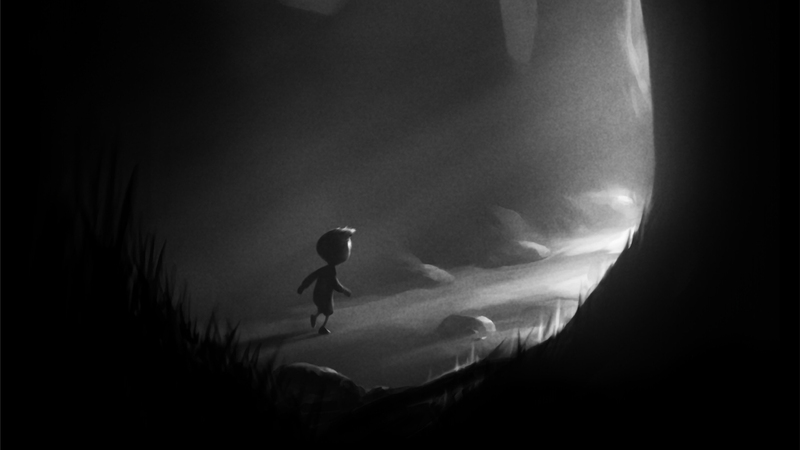 Limbo is a short game, I want to say that I beat it in just around three hours – and there’s not much replay value here either, I’m afraid. There’s no in-game benefit for gathering the optional collectibles, and nothing exactly changes on repeat playthroughs, either. It’s not exactly lacking in content, though, and at least from my point of view, the game lasted just long enough to prevent it from starting to feel stale. On the flipside, I don’t think I’ll want to play it again now that I’ve finished it. I can’t say I get a lot of the hype that Limbo garnered when it released nearly a decade ago, but maybe that’s because the industry has diversified since then. It may not be the best indie game on the Nintendo eShop, and I’m willing to bet Playdead’s other Nintendo Switch release, Inside, might be the better buy, but that’s in no way meant to say that Limbo isn’t worth playing. While it might not seem as amazing now as it did 8 years ago, Playdead’s iconic platformer is more than worth playing through once. If you haven’t yet had that chance – like I did – I don’t see any reason why your introduction to the game shouldn’t be on Nintendo Switch, too.